Choose from our popular categories or Sign Up Now! Our proven crowd-giftingTM platform, based on Honeyfund.com, makes giving and receiving simple and fun. Featured on ABC's Shark Tank, ABC News, The New York Times, Good Morning America, Time Magazine, The Huffington Post and many others. 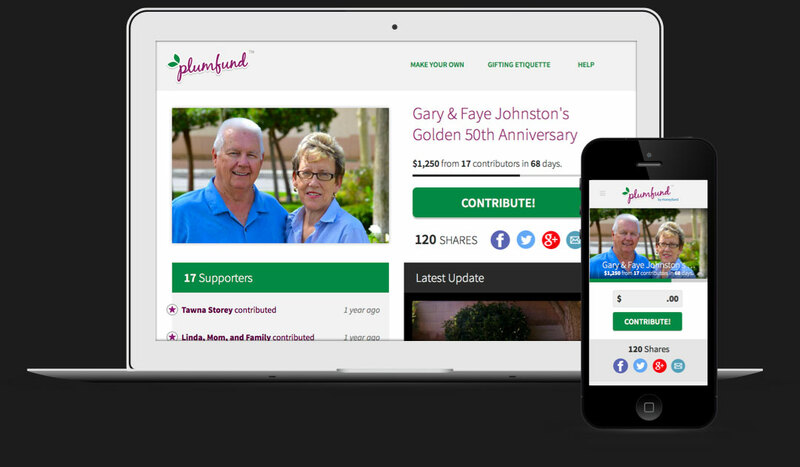 Plumfund makes giving feel good. Our tasteful, online fundraising platform allows friends and family to give and receive without fear or etiquette concerns.